A stylized image of the front view of a person's torso is shown, with the stomach and intestines visible more brightly against a lighter outline that suggests the shape of the body. A green fractal background is seen behind the image. Penn State Colon and Rectal Surgery added three experienced surgeons to its roster this year. The colorectal team—one of the largest and most experienced in Pennsylvania—now includes six surgeons, along with three advanced practice clinicians, a dedicated laboratory staff and several medical assistants who provide patient communication and follow-up. Michael Deutsch, MD, previously at Rutgers Robert Wood Johnson Medical School in Piscataway, New Jersey. Dr. Deutsch has a strong background in all colorectal conditions and conducts basic science research. Arjun Jeganathan, MD, previously at Cleveland Clinic in Cleveland, Ohio. Dr. Jeganathan has special expertise in inflammatory bowel disease management, laparoscopic approaches and colorectal cancer care. Jeffrey Scow, MD, previously at the Mayo Clinic in Rochester, Minnesota. 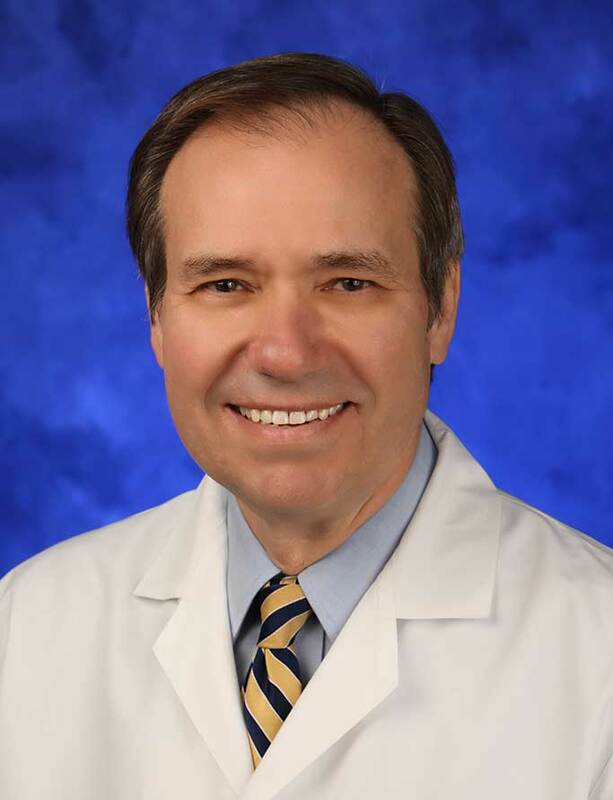 Dr. Scow served in the Navy, and his specialties include inflammatory bowel disease and minimally invasive robotic surgery. “Between the six of us, the group covers the entire gamut of colorectal disease, and we’re ready and able to take care of patients on very short notice because of the size of our team,” says Walter A. Koltun, MD, chief of the Division of Colon and Rectal Surgery, Penn State Health Milton S. Hershey Medical Center. He adds that the team has particular strengths in colorectal cancer—and specifically rectal cancer—inflammatory bowel disease, and diverticulitis. The entire surgery team focuses on minimally invasive approaches such as laparoscopic and robotic procedures. “These techniques are becoming more popular with patients and clinicians,” Dr. Koltun says. Fellowship: Colon and rectal surgery, Lahey Hospital and Medical Center, Burlington, Mass. Residency: General surgery, Brigham and Women’s Hospital, Boston, Mass. Medical School: Harvard Medical School, Boston, Mass. Penn State Gastroenterology and Hepatology provides comprehensive services in the diagnosis, medical management and endoscopic treatment of diseases affecting the digestive system and liver. The digestive system includes the esophagus, the stomach, the small intestine, the colon (large intestine), the gallbladder and attached bile ducts, the liver and the pancreas. Our physicians are board-certified in Internal Medicine with additional board certification in the subspecialty of Gastroenterology, with some also board-certified in Hepatology. The mission of Penn State Gastroenterology and Hepatology is to provide world-class care and to advance the knowledge of disorders of the digestive system and liver through research, and to train the physicians of the future. The physicians in the Division participate in studies to determine the usefulness of novel treatments through clinical research studies and also in research which advances the basic knowledge of the disorders in this field.